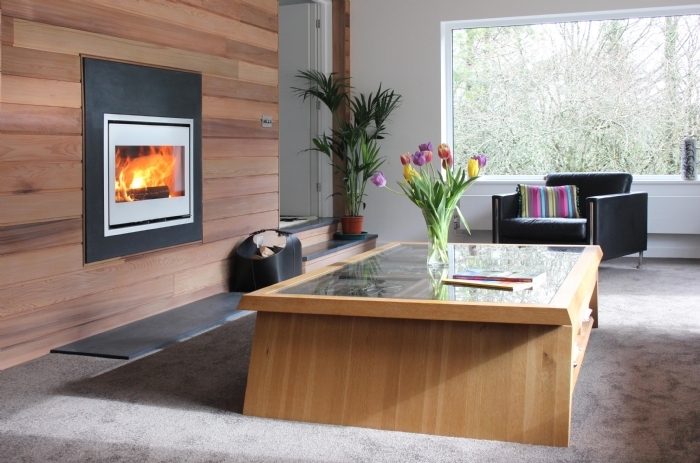 February has seen us launch ourselves into a new era for Kernow Fires. The Open Day set for 18th April has got us all excited and will be the first of it's kind for Kernow Fires. 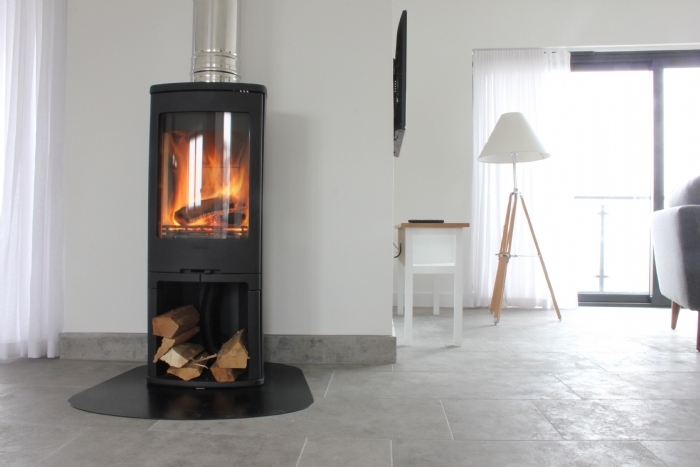 With lots of one day only offers including up to 20% on selected stoves and the chance to win £100 of fuel we are looking forward to greeting customers, old and new, and showing them round our new woodburner and Biomass showroom. 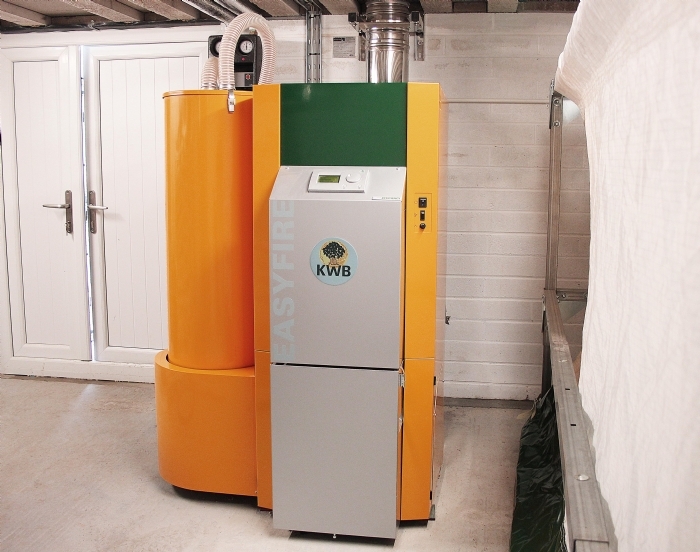 With experts in Biomass heating on hand to answer any questions you may have on RHI, efficiency and the savings available with Biomass systems, 18th April is the perfect time to have all your questions answered. We have also confirmed that Wild Bake will be joining us providing some gorgeous kiln dried log fired pizza and WREN (Wadebridge Renewable Energy Network) is going to be here to help visitors with information about how to save money on your heating costs. 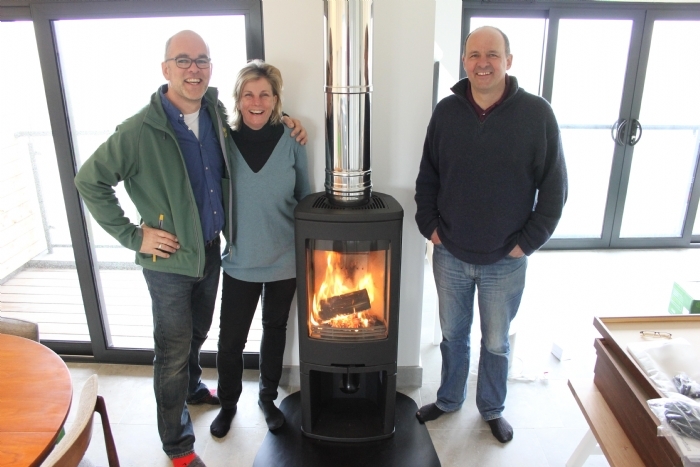 We've also had fun this month visiting some recently completed installations including the Scan 1002 in Jane and Simon's house, a recent biomass boiler installation where the owner is already enjoying the benefits of reduced heating bills and a trip to the Point At Polzeath where they have installed seven Contura stoves in their new holiday apartments. Eva and Jeremy were ecstatic with the new stoves which are the perfect choice for the open plan apartments with the side windows allowing the fire to be enjoyed from all angles.